This writing project, for which I was lead writer and project manager, involved developing a state-of-art, flexible and holistic approach to HRA in the mining and metals sector that fits both the developed and developing country contexts of mining and metals projects whilst taking account of current HRA best practice. It used the guide developed for the oil and gas industry by IPIECA as starting point. 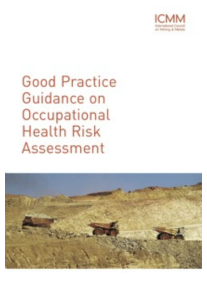 The aim of occupational HRAs is to systematically and proactively idnetify health hazards in the workplace, assess their potential risks to health and determine appropriate control measures to protect the health and wellbeing of workers.